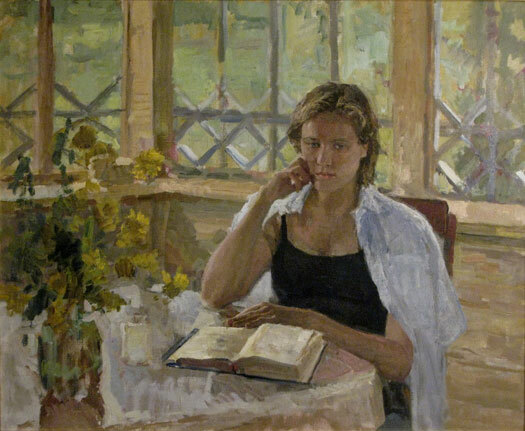 Nikolai Dubovik, "Lena," 1997, 27in x 33in, oil on canvas. A Russian artist success story. Born 1960, the son of a simple cobbler, orphaned at 10, Dubovik entered the special school for the arts at 14 with dreams of studying at the famed Surikov Institute. 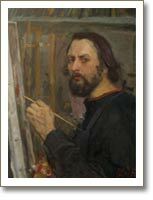 Fast forward, Dubovik is now a professor at the Surikov after having been granted a duel post graduate opportunity in the departments of painting and drawing, ( a rare honor) including studio teaching honors with legendary artist VN Zabelin. Dubovik’s art has featured in many publications for his drawings and is known for his figurative subjects. 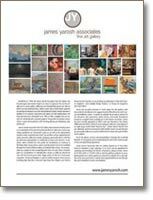 Worldwide collection includes the St. Petersburg National Museum, The Ministry of Culture Natural Collection, Moscow and the Peking National Art Museum among others. Artists Nikolai Dubovik and Olga Belakovskaya to travel from Moscow to discuss the unique plein air tradition in Russia as part of Plein-Air Convention and Expo in Nevada April 12-15, 2012.